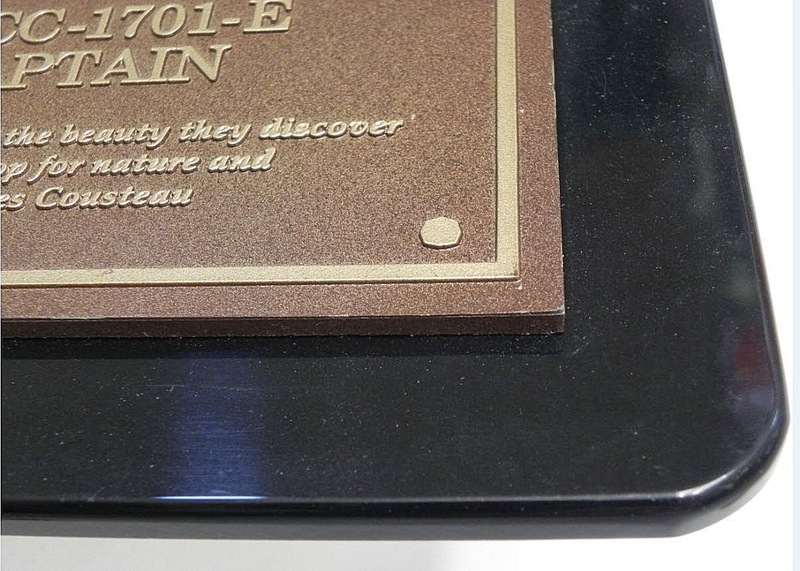 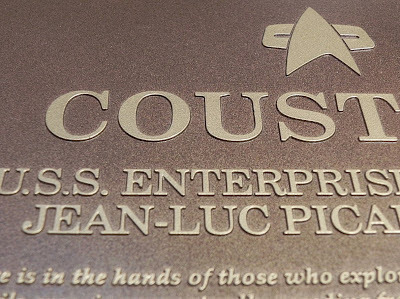 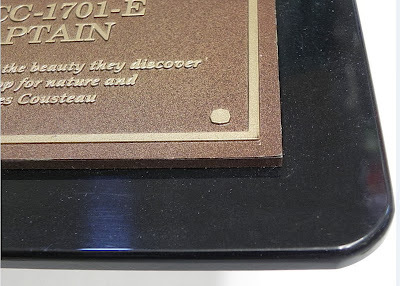 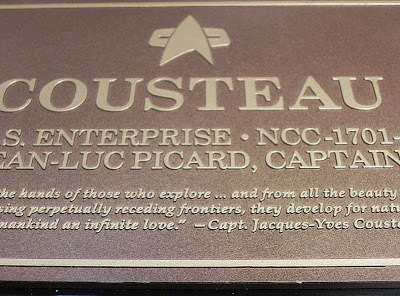 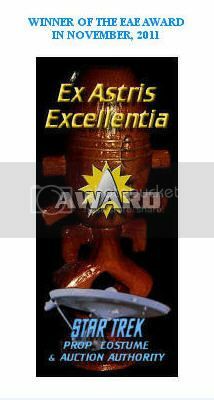 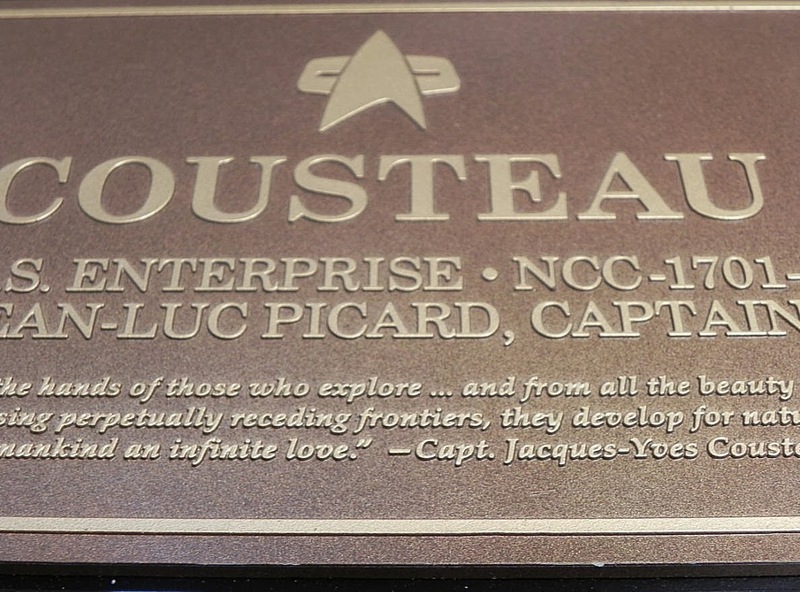 Presented below are some images of a rare starship commissioning plaque, custom-made by production for use as set dressing on Jean-Luc Picard's Federation Captain's Yacht "Cousteau", that was employed to carry weapons and transport inhibitors to the Ba'ku village on the planet surface in Star Trek: Insurrection (Paramount, 1998). 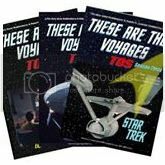 The 6" x 9.75" bronze colored plaque with raised lettering is mounted on a glossy black plastic backing that measures approx. 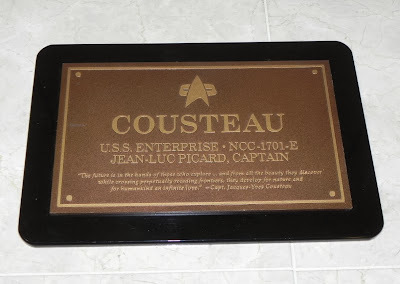 8" x 11.75" in size. 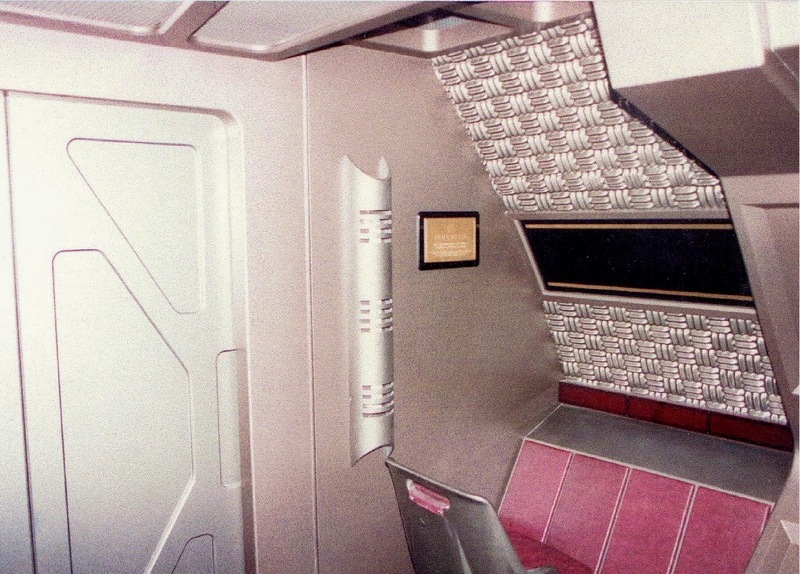 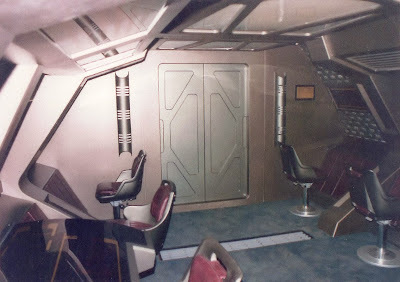 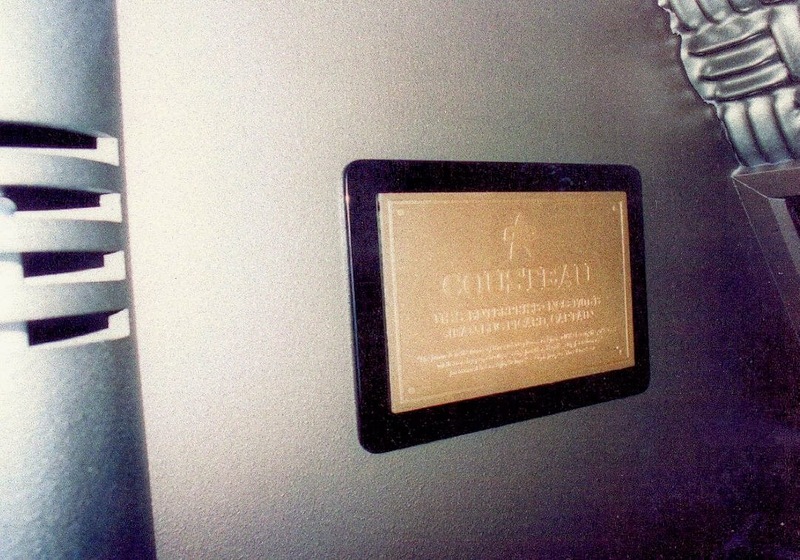 After the modern day images are some photos of the plaque on the filming set mockup of the Yacht's interior, and some screen captures of the "Cousteau" itself from the motion picture.